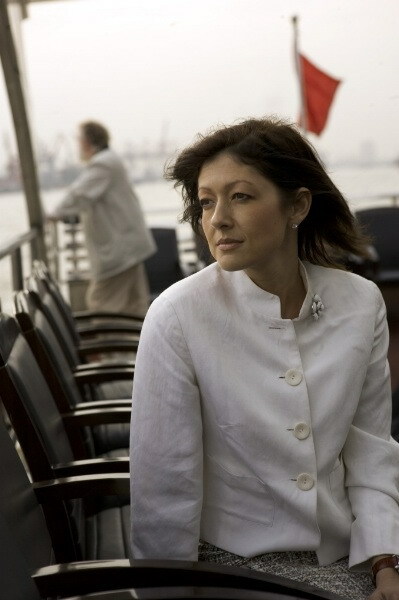 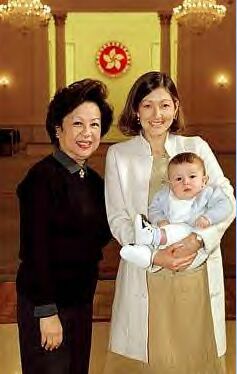 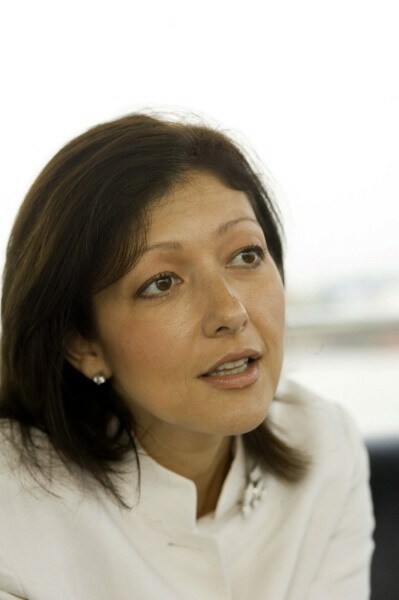 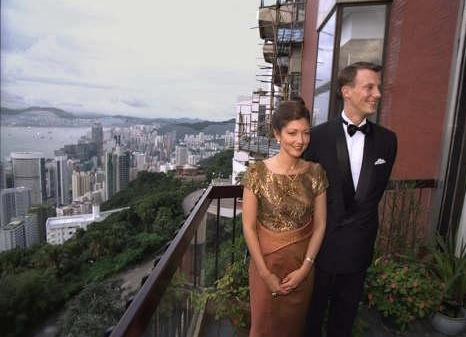 Back in summer 1995 Alexandra went back to Hong Kong to say goodbye to her home town.
" 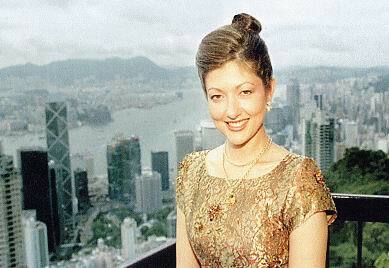 Alexandra's Hong Kong " . 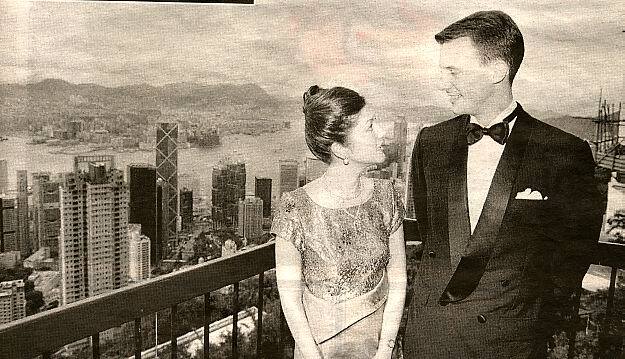 Hong Kong harbour . 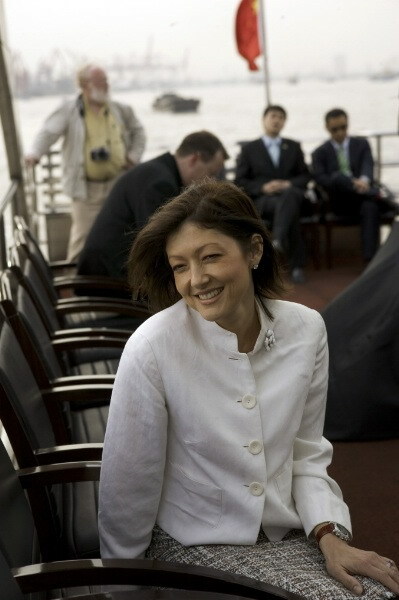 Alexandra is on a small boat. 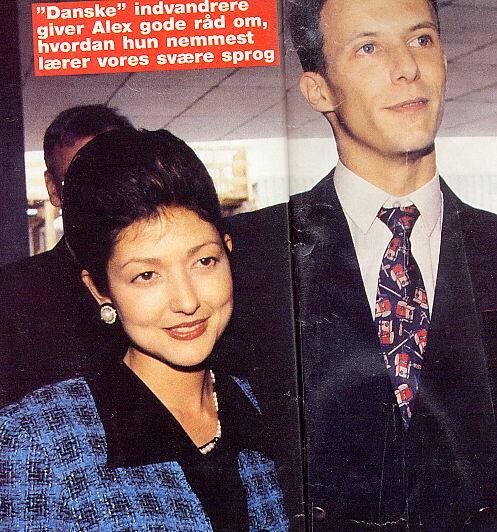 Clippings from Magazine " Billed Bladet "
Alexandra Manley going back to Hong Kong . 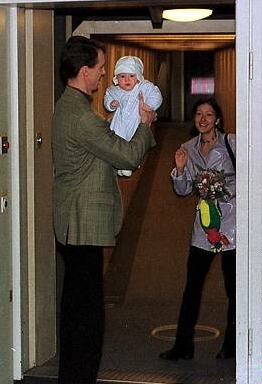 Prince Joachim is saying goodbye to her at the Copenhagen airport. 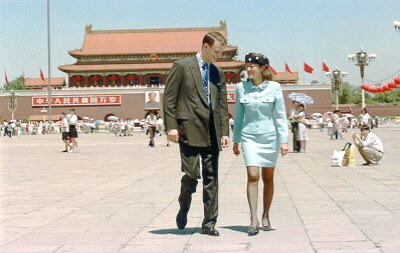 Other photos from their trip in China. 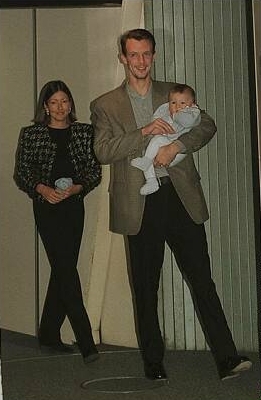 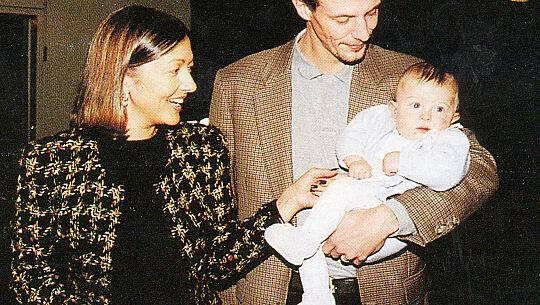 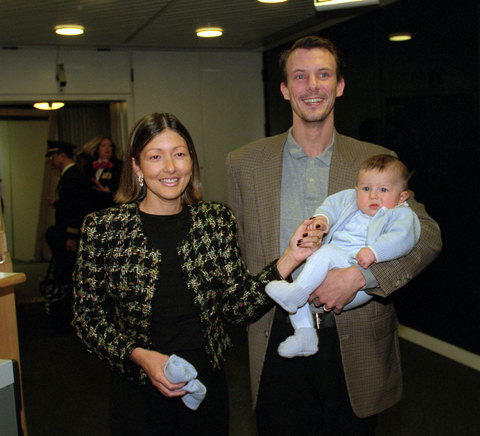 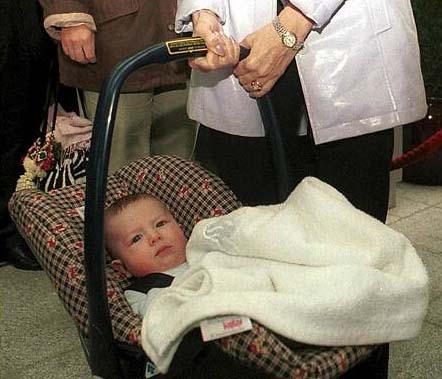 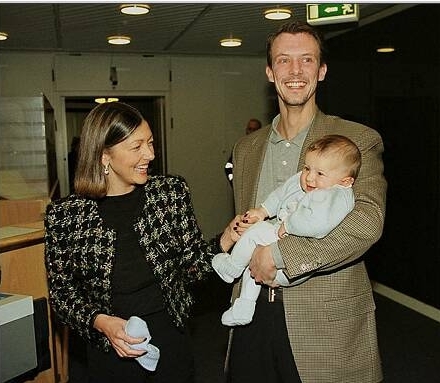 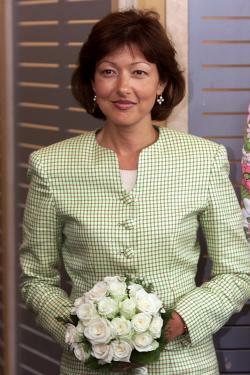 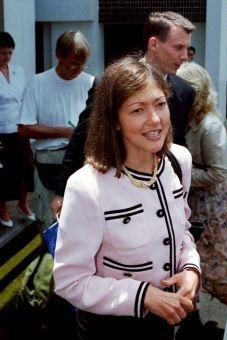 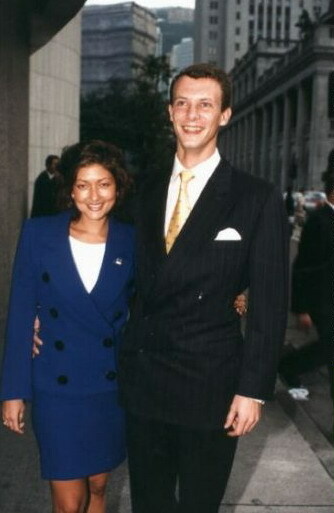 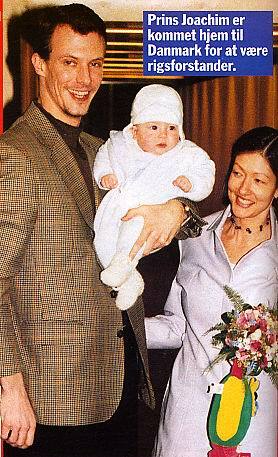 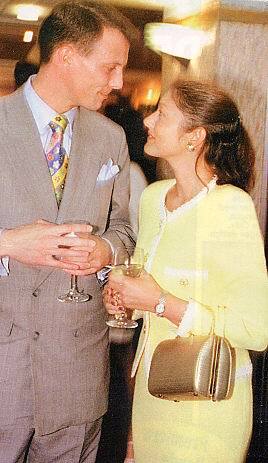 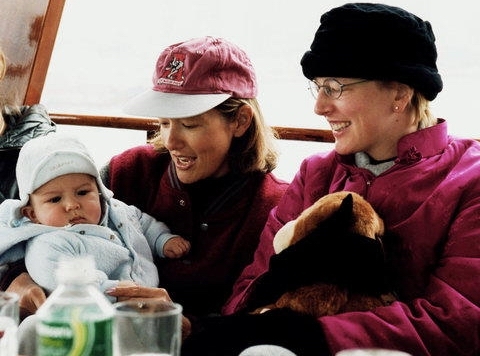 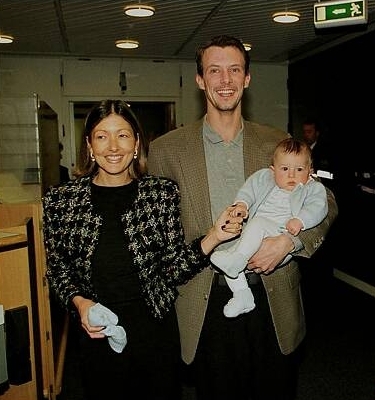 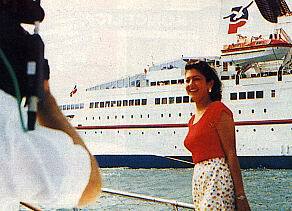 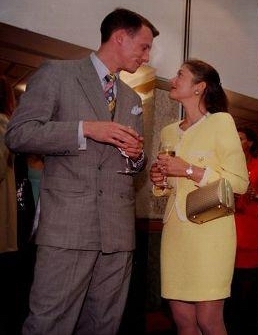 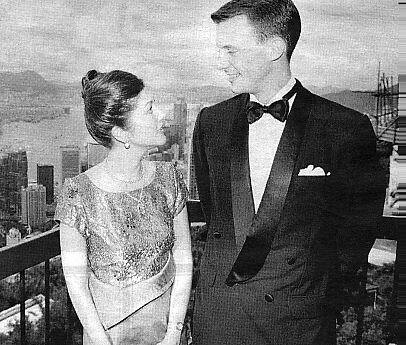 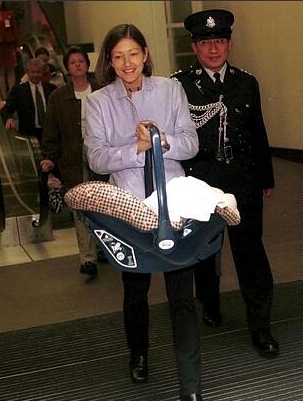 Princess Alexandra went back home with prince Nikolai in Year 2000. 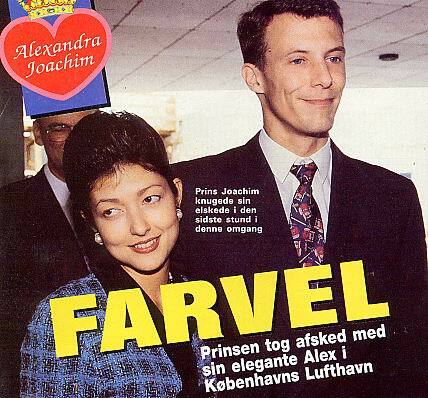 She opened new Airline from Copenhagen to Shanghai. 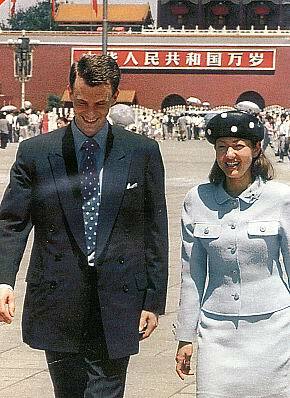 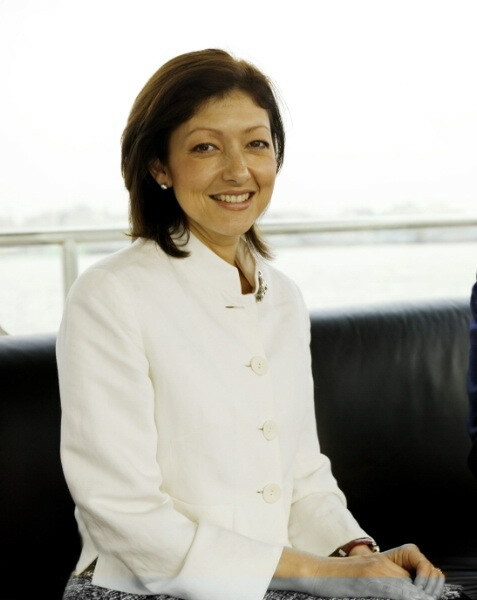 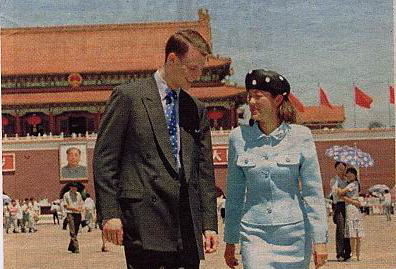 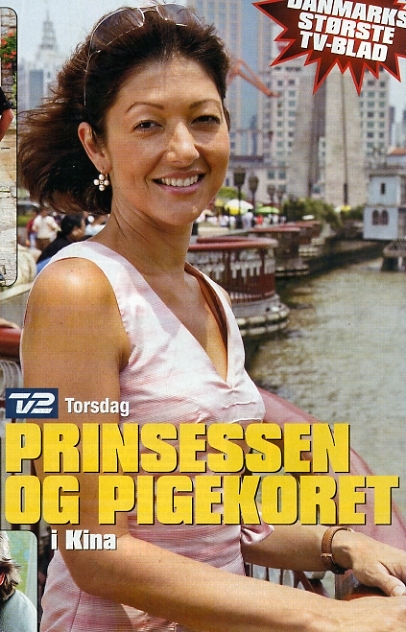 Princess Alexandra went to China this time to promote Danish Industries to China. 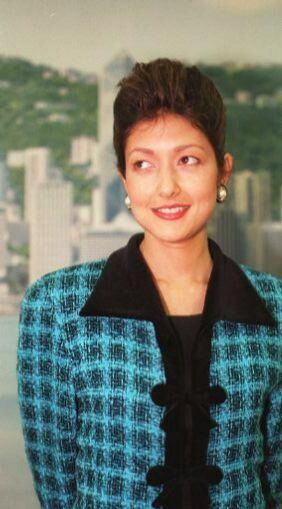 Between 25 to 28 of April.